A small plane, piloted by sixteen-year-old Ryan McCall, crashed near Orange County Airport in Virginia, at about 9:45 a.m local time Sunday morning, police said. He was killed in the accident. The boy, Ryan McCall, a sophomore at Riverbend High School in Spotsylvania County, was alone on the plane. The plane, a 1974 Piper, model PA28140, crashed in a field just east of the airport. The plane belonged to Springfield, Virginia resident William Rushing III. Flying instructors suggested birds might have contributed to the crash. The Federal Aviation Administration (FAA) and the National Transportation Safety Board (NTSB) are continuing their investigation as to what actually happened. 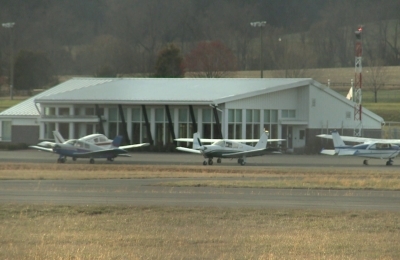 Sixteen-year-old pilots are common, according to Virginia Aviation Board President Johnny Meza. He said a sixteen-year-old flying either alone or with a certified pilot is allowed. The NTSB predicted five to ten business days for a preliminary report. The Spotsylvania County school district sent out a memorandum saying the school's administration is working with counsellors to help students cope with the loss of their classmate. The statement said in part, "We were very saddened to hear the news about the death of Riverbend High Sophomore Ryan McCall." Grief counsellors were available at the school to provide support to students. The boy's remains were sent to a medical examiner's office for autopsy.